Airbnbs, VRBOs and other short-term rentals are creating numerous legal questions across the U.S. On one hand, Airbnbs and VRBOs are generating local economic benefit, but on the other hand, their presence generates challenges for local municipalities. To compound things, they invite numerous legal liabilities and a maze of land use/zoning rules and regulations for the property owner. This concise yet comprehensive overview will provide legal clarity on so many of the issues you and your clients are scratching your heads about. Confidently walk legal fine lines concerning short-term rental issues - register today! Discuss recent developments and hot-button issues surrounding Airbnbs, VRBOs and short-term leases. Take a close look at city zoning/land use restrictions and other limitations. Identify issues surrounding owners of condos, co-ops and planned developments. Steer clear of liability concerns for short-term rental owners. 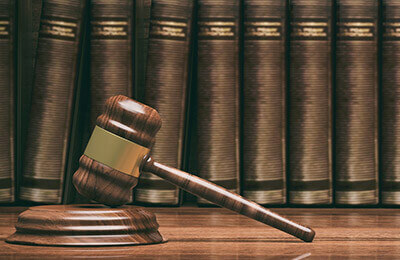 Learn what considerations must be made regarding remedies available for damages. Review the fundamentals of what to include (and not include) in an agreement. Renting a Room? A House? An Apartment? What are the Issues for Properties Subject to a Mortgage? How do you Regulate/Deregulate the Number of Such Uses in a Residential Neighborhood? Is Airbnb, VRBO Considered "Commercial"? Do Consumer-Related Laws Apply? ADA Laws? Do I Need a License? Permit? Certificate? If so, How do I Obtain One? Are You Doing a "Lease or Rental" and What Should it Say? Contracting Issues: Deposits, Liquidated Damages, Etc.